Are your grant applications or other processes making life difficult for your grantees? Even unwittingly, if you’re passing along undue burdens to your grantees, you’re harming the very people you work so hard to help (and missing out on a great opportunity)! It’s important for foundations and their grantees to engage and collaborate to make real societal change happen. That’s why we created this guide! 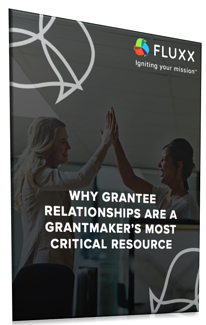 Grantee partners have a wealth of knowledge to contribute to the overall success of a program. It’s critical to nurture those relationships. Fill out the form on the right to get the guide now.